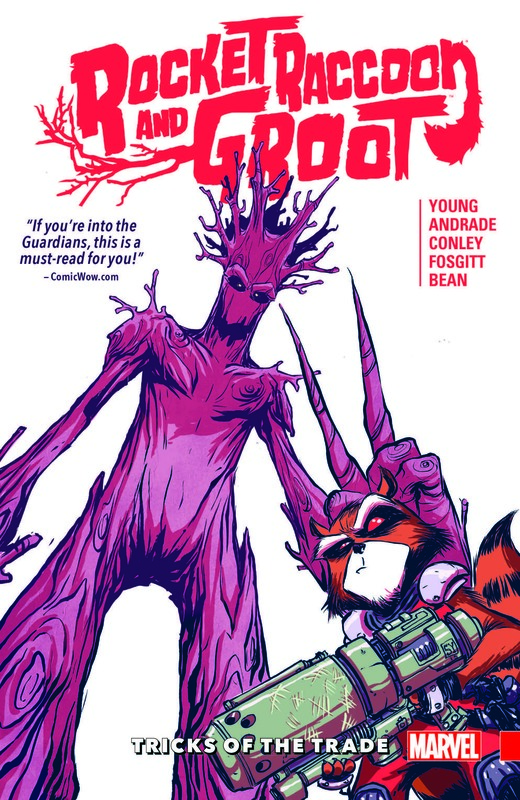 There's a new criminal mastermind in the galaxy, and it's...ROCKET RACCOON?! How did this happen? SERIOUSLY, HOW DID THIS HAPPEN, YOU GUYS??? Groot knows, but he's not talking! Well, he is talking, but all he's saying is...oh, you know. 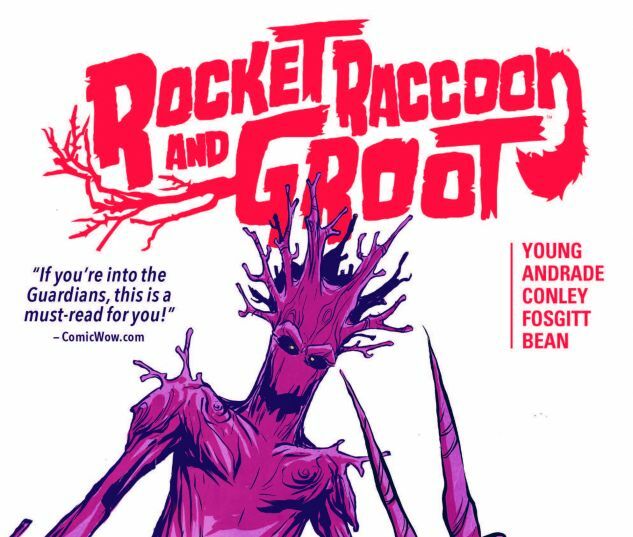 Diabolical danger, madcap mysteries and astonishing adventure abound as SKOTTIE YOUNG and FILIPE ANDRADE return to tell tall tail tales of Rocket Raccoon, now with the adorable, arboreal Groot along for the ride! If you love adventure, animals, outer space and just about anything in between, this is the book for you! COLLECTING: ROCKET RACCOON & GROOT (2016) #1-6.